Black mold can be dangerous, call SERVPRO. Heating and cooling problems can plague commercial buildings and warehouses due to the sheer size of the establishment. Unfortunately, these problems can lead to poor ventilation and humid facilities, which if left unchecked can lead to mold growth and possibly the development of black mold. 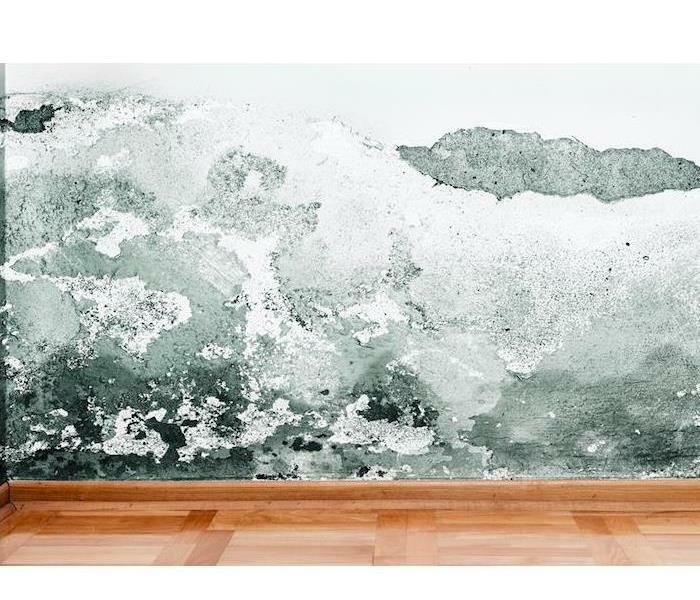 If you own or manage one of these properties, you may be wondering what the mold remediation process would look like, and in its purest form, it is a four-step approach. The first step of mold cleanup is to use precaution. Many species of mold may be harmful, so wearing protection is essential. Face masks, gloves and eyewear are the basics for any removal, but many professionals will wear full-bodysuits. Next, especially when dealing with black mold, the room will be quarantined. Experts will seal off doors, vents and most windows with plastic. They will likely leave one window where a fan will be placed, facing outward to help draw any spores outside. Once the area is secure, the team will begin removing any excess moisture and water with shop vacuums, pumps, air movers and dehumidifiers. The goal is to get everything in the room as dry as possible before continuing the process. However, detergents and water may be used later to help reduce the production of spores. A mold remediation specialist in the Ball Ground, GA, area will then begin the process of tear out, cleaning and disinfecting. They will likely remove sections of drywall, insulation, carpeting and other porous items to discard. Also, they will use strong commercial cleaners to remove any remaining residues. While black mold is concerning in commercial property, every type of mold should be approached with the same vigor and reactive process. Always call a professional and allow them to take the reigns as they have the experience to handle the situation correctly. 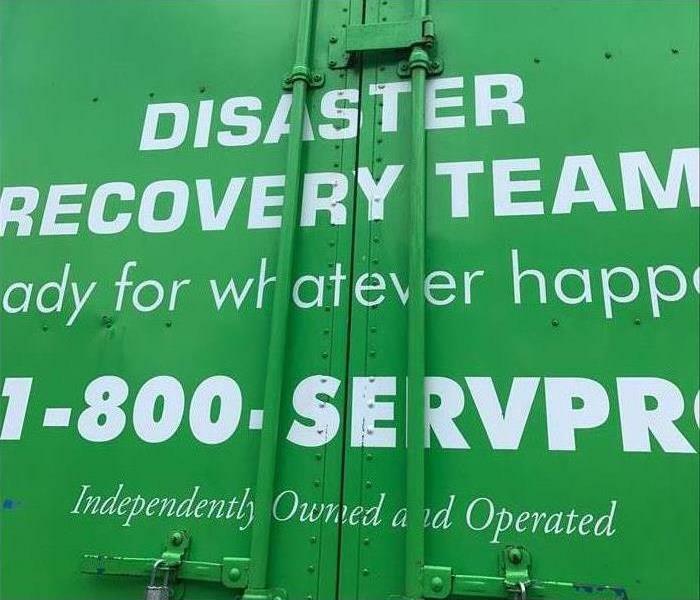 Our disaster recovery team is available to respond any time day or night to help you. The aftermath of a disaster can be hectic for your Canton, GA, business. From securing key documents to finding space for temporary relocation, there are countless things to consider. Among the most obvious is disaster recovery and cleanup, but this is a place where it’s easy to go wrong. Understanding how to properly clean up after a storm can make the difference between getting back on track fast or being out of business for months. and more. Figuring out which company to go with is as simple as knowing what to look for in a disaster expert. The chaotic aftermath of a disaster can become even more confounding when disaster recovery is not well-coordinated. Look for companies that provide continuous supervision of their recovery teams. This goes a long way to mitigating new damages as well as helping you meet your timeline for re-opening. A good recovery team can get things back on track quickly. But a poorly organized, unexperienced one can make things worse in the long run. When looking for a storm damage response team, look for large-loss specialists who are prequalified, with extensive training. Disaster and storm response is already an expensive endeavor for most businesses. Look for a team experienced in finding ways to cut expenses and provide cost-effective service without sacrificing quality. Examples include using strategic placement and temporary labor to save cash. Every large loss is different, but some of the core needs of an effective disaster cleanup team are the same. Use these tips to find the right disaster recovery team to ensure your business can recover from fire, storm or general disaster damage without delay. As a homeowner in Canton, GA, you’re probably going to face some sort of repair, restoration or cleanup job at some point. You just hope the damage is minimal. Flooding or other water issues can cause significant problems, especially they occur over time without detection. It’s important to catch these incidents as quickly as possible so you can avoid things such as black mold. These poorly identified effects are known as secondary damage. Failure to identify flooding or other water-related events can lead to undesirable situations such as peeling vinyl, buckling on floors, rotted or ruined drywall or black mold development. Without proper mitigation, these issues can become costly nightmares for you and your family. There could also be damage to your home’s foundation or other structural components, rendering the house unsafe. The slow reaction to the leak, drip, flood or other problem may not be your fault. Regardless, as soon as you discover any damage, it’s vital that you enlist the help of the right professionals. No matter how extensive the damage or concerns may be, you can count on the professional expertise of a specialist to clean up your home and make it livable once more. The team will use the latest and most effective equipment to clean up, sanitize and restore the affected area so you can once again have peace of mind. 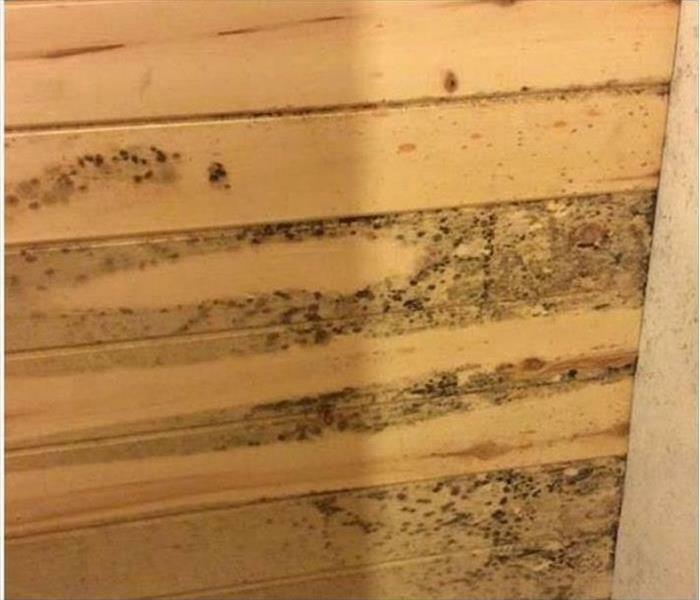 If you spot black mold in your home, it may have grown because of secondary damage. Don’t wait any longer to remove these invaders. What Happens to Items Affected by Mold Damage? Mold spores began developing a colony on this wall. If your home in Woodstock, GA, has been damaged by mold, you may be uncertain about what will happen to your belongings that have been affected and if they can be restored. It can be helpful to know what the process of mold cleaning looks like for damaged items. Once mold has been noticed in a home, the mold is contained, then items are carefully removed from the home. Often, protective equipment is used to ensure items don’t become further damaged. Since moving items too much in a home can cause the spores to spread, it’s often best for mold damage restoration professionals to take the items to a safe environment and appropriately clean the items. Once items have been removed from a home, the process of mold cleaning begins. The methods used to sanitize your items will often depend on the material of the items and the amount of damage present, and some items may take longer to clean than others. Belongings that only have residue may just need to be dry cleaned, whereas other items may need more intensive treatments. One of the final steps in the mold remediation process when it comes to personal belongings is to restore items. Although many people may think delicate items, such as documents or paintings, cannot be restored, this isn’t always the case. Professionals are often able to restore delicate items, though the process can be time-consuming. Unfortunately, not every item can always be restored, and if an item is too damaged for restoration, it is at this point that belongings can be replaced. The mold cleaning process generally requires items to be removed, sanitized and restored or replaced. Overall, understanding what will happen to your belongings that have been damaged by mold can bring you peace of mind throughout the process of mold remediation. When disaster strikes, call SERVPRO for professional help in Woodstock, GA. Eventually, something in your home will break or wear out. Replacement and repairs are inevitable. You can handle some things on your own, and some things aren’t that urgent and can wait for attention. But with a home disaster such as a flood or fire, it’s a different story. In a situation such as this, you need an experienced professional that can provide 24-hour service to relieve your desperate emergency. Look no farther than SERVPRO. SERVPRO has years of experience. 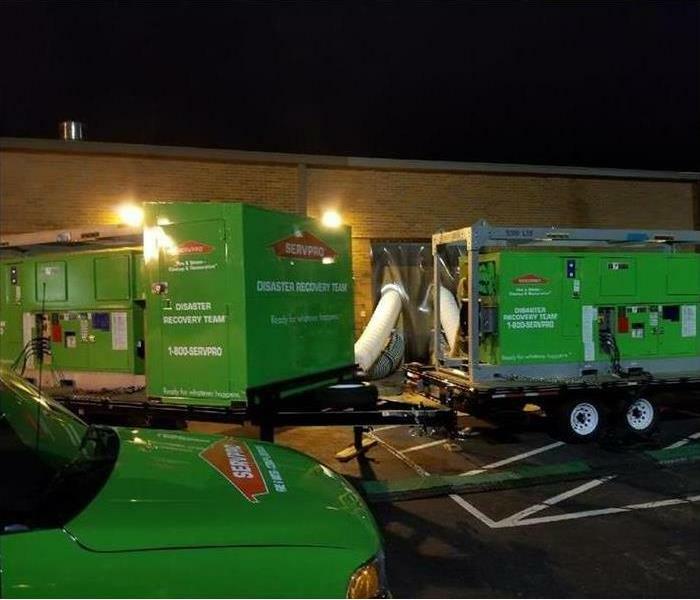 SERVPRO does pretesting, cleanup, and restoration. Have you ever had an urgent need, so you called a professional for help, but the person or company had shut down shop for the rest of the day? This can be frustrating if you need to correct the problem immediately. Luckily, SERVPRO can give you a fast response because it never closes its doors. Someone is always available to respond to your issue, whether it’s late at night, on the weekend or even on a holiday. You can have peace of mind knowing that not only does SERVPRO give you 24-hour attention, but that it has a proven track record of success in the industry. The team has years of experience helping customers just like you with small jobs, extensive jobs and everything in between. From the moment you enlist the help of a SERVPRO professional, you can expect thorough service. The team will first assess the damage and come up with a game plan. Then, the technicians will remove water and smoke damage, clean up and sanitize the affected area, and restore or replace what you lost in the disaster. There’s no need to call anyone else when you can have SERVPRO and its 24-hour service in your home. When disaster strikes, you know where to turn. Depending on the season and your location, your business may be vulnerable to damage from a variety of weather phenomenon, such as an intense rain storm, tornado or hurricane. When a significant weather event occurs, following several key safety guidelines can help you protect your building and safeguard the wellbeing of your staff. Tree branches can become dangerous objects during strong winds. 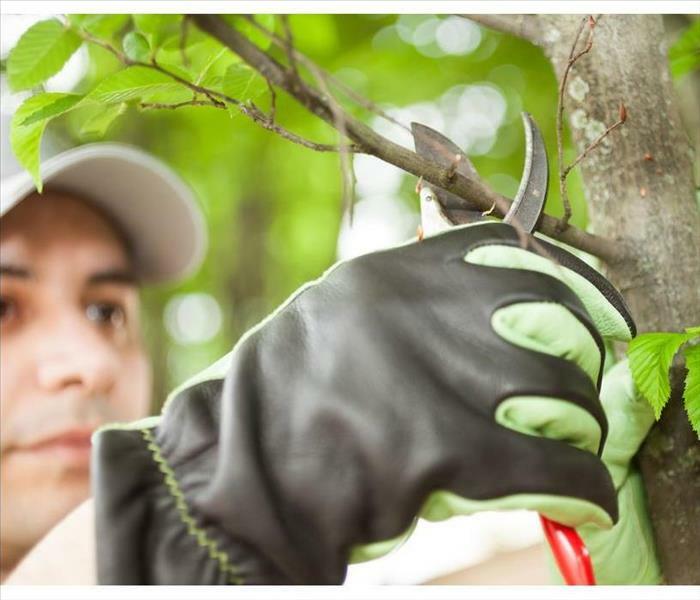 To minimize the risks of broken windows and roof damage, you should keep trees adjacent to your property neatly trimmed and routinely remove dead branches. Flying debris can easily shatter windows and skylights. As a precaution, everyone should move away from these structures during a severe storm with high winds or hail. A significant rain storm can increase the risk of flooding. If floodwaters enter your building, essential equipment, including components of your HVAC system, may be vulnerable to water damage. To alleviate this concern, you should elevate important devices off the floor. In the event of a tornado, seeking adequate shelter is essential. Your staff should promptly move to the basement or a windowless, interior room on the lowest level of the building. Because cords conduct electricity, using electronic equipment during a thunderstorm can be dangerous. Staff should shutdown computers and avoid using phones until the storm has passed. As an added precaution, you should utilize surge protectors to safeguard vital equipment from potential damage. Hail and strong winds can wreak havoc on your building’s roof and cause damage that may lead to destructive leaks and potential mold contamination. For this reason, it’s a good idea to inspect your roof after any storm and promptly commence any necessary repairs. A severe rain storm can produce damaging high winds and cause extensive flooding. 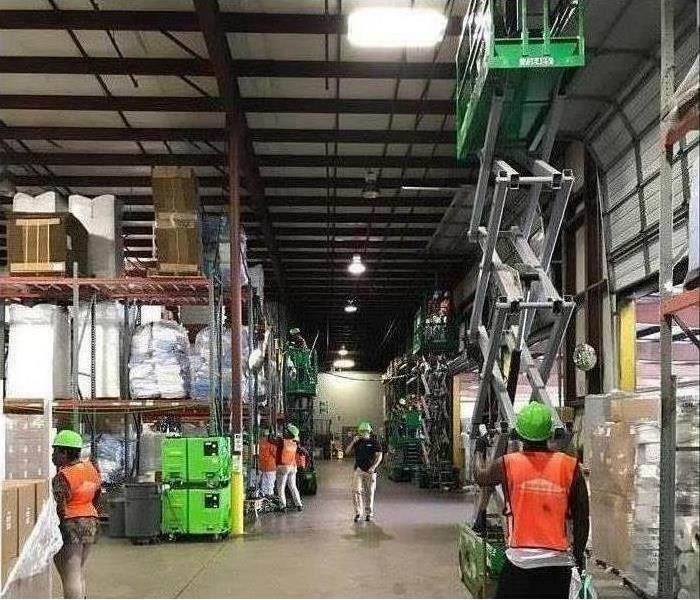 Taking proactive measures can help every business in Ball Ground, GA , avert serious injuries and minimize the risk of significant destruction. As a homeowner in Canton, GA, you want to do everything you can to make sure your loved ones are safe. The threat of a gas explosion is something you should always be prepared for. Every year, thousands of people are injured and homes damaged because of natural gas fires which could have been avoided. Expensive structural repairs requiring the services of a fire restoration company are often the result. In many cases, these fires could have been prevented had quick action been taken. So, what should you do if you smell gas in your home? Check your stove to see if the burner has been left on without the gas being lit. If this isn't the source, check along the gas lines for a hissing noise. Check for leaks behind water heaters or other gas appliances. If the source is not evident, locate your gas meter. The shutoff valve is attached to the meter. 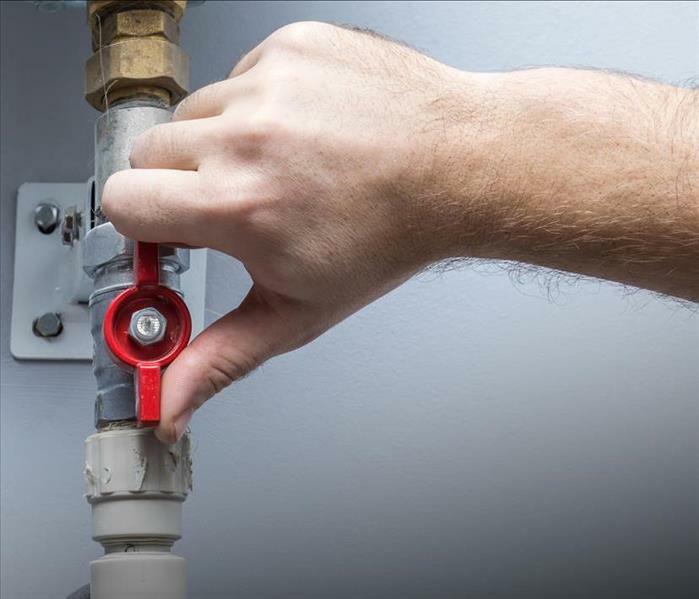 Using a wrench, turn the valve to the "off" position. Open all the windows in your home, as well as the doors. This way, any gas trapped in the house can be vented to the outside. This may appear to be common sense, but flames must be avoided until the source of the gas smell has been located. Don't try to light cigarettes or candles if you smell gas! Keep the lights off if you smell gas. Turning on a light switch could cause a spark, which could set off a gas fire. If you still haven't located the source of the gas leak, leave your home and get to a safe location, well away from the house. Call 911 or the gas company for help. If you smell natural gas in your home, you need to act right away. These common sense tips can help your to prevent a gas fire from happening. Mold spores occur naturally both indoors and out and are usually not harmful to your Woodstock, GA , home. However, when they attach in humid, damp areas and start to spread, this can cause serious damage to your belongings and building materials alike. Buying an air filtration system can help reduce the presence of these spores and knowing which are the most effective can help you make a sound purchasing decision. This air purifier has two filters that work to remove different types of fungi spores from whichever room it is in and is effective for spaces no larger than 600 square feet. The v-HEPA filter whisks away mold, pet dander and other impurities while the carbon filter removes mild odors, such as those that may linger after cooking. A sensor informs you when it is time to replace the filters. The Oransi Max costs about $480 and comes with a 10-year warranty. The capacity for this air filtration system is about 800 square feet and uses a HEPA filter to remove mold spores, dust and pollen from your home’s air. It is also designed to run quietly so it does not disturb family members using the room. The Alen BreatheSmart FIT50 costs around $500 and comes with a lifetime warranty. This purifier is suitable for larger spaces up to 1,500 square feet, which makes it a good choice for family or living rooms. However, if you are concerned about capacity, you can contact a mold removal and remediation service for additional measurement advice and assistance. It removes fungi spores with a HEPA filter made with activated carbon. The Austin Air Healthmate costs about $595 and includes a five-year warranty. An air filtration system can be useful in removing mold particles from your Woodstock, GA , home. However, before you buy, it is a good idea to research and compare a few models so you understand the capacity and features of each one and purchase a unit that is best suited to the needs of your home and family. Hidden away in the garage or a closet is one of your home’s appliances that many people consider an essential part of modern life. Though it is often ignored for years, rarely dusted or checked, it is used in most residences multiple times a day. It’s the water heater. So, what do you do when this important appliance begins making thumping, popping, or creaking noises? Although it may have a long life in Canton, GA, most heaters need your help in removing the sediment that can become trapped in the bottom pan. Make sure you turn off any electricity moving into the heating unit before taking any further steps. This will prevent damage to the heating elements. Shut the valve feeding water into the tub of the unit. There is often an inlet at the top of the tank that can easily be closed. Attach a hose to the drain valve at the bottom of the water heater. Be sure it is secure to prevent leaks. Open the pressure relief control and the spigot. This will allow the tank to drain. Be patient while the water drains. It may take several hours to remove all the liquid. 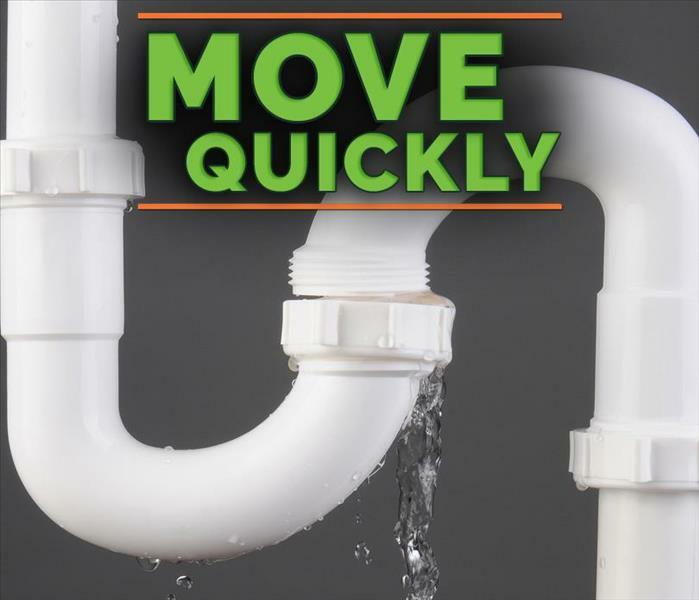 When the tank is empty, close the drain valve and disconnect the drain hose. Now close the pressure relief control valve. Open every hot water faucet in your home, except the tank’s. Then turn on the inlet at the top of the tank and allow the water to flow freely out of the faucets for at least three full minutes. When the tank is full of water once again, close the spigots. If you have low water pressure, let the water run for more than three minutes. Call a water specialty team if you have concerns. Restore power and use your water heater as normal. By cleaning the sediment from the bottom, you may have added years to the unit’s life. Fire restoration is usually the first thing that comes to mind when property owners consider potential fire loss. However, there is a basic set of rules to follow immediately following a fire, and restoration is the last on that list. Safety should always be the top priority. Therefore, you should make sure that all of your employees or tenants are safe and accounted for. You can set up an emergency management team that is responsible for a set number of employees, making it their responsibility to count or contact every employee to ensure their safety. Once you know everyone is safe, you should reach out to your property or fire insurance provider. Fire restoration coverage depends on the adjuster’s assessment of the property and the cause of the fire, and it is vital to get this process moving as soon as possible to reduce business interruption. Once you have contacted your insurer, you can begin making a photographic record of the property loss. You should go from room to room taking as many pictures as necessary to show the adjuster. Additionally, you may want to gather any relevant receipts and pair each with the corresponding items in the photographs. Lastly, to mitigate further loss and to begin the fire and smoke cleaning process, you may want to call a disaster restoration specialist in the Woodstock, GA, area. While your insurer may require several estimates, it is essential to find a restoration company sooner rather than later to minimize further damage. Fire restoration is part of the aftermath of a fire, but it is not the first step. Safety is paramount followed by contacting your insurer and making a record of loss. Only after these steps are taken care of, should you reach out to a restoration specialist and begin remediation. 3/4/2019 - What Happens to Items Affected by Mold Damage? 2/6/2019 - I Smell Gas – What Should I Do?